Looking and feeling great is an important goal for many of us. Using charcoal toothpaste dates back as a means to whiten/brighten teeth and potentially absorb “bad” toxins in the mouth. The idea of absorption relates to charcoal’s use in medicine for conditions such as overdosing or poisoning because it has absorption and porous properties. The Romans even gravitated towards charcoal toothpaste (among many methods) due to its abrasive nature. The appeal of it, in part, comes from its label as a “natural” way to care for and whiten teeth. Is coal-colored toothpaste really what we want to ask Santa to put under the tree? 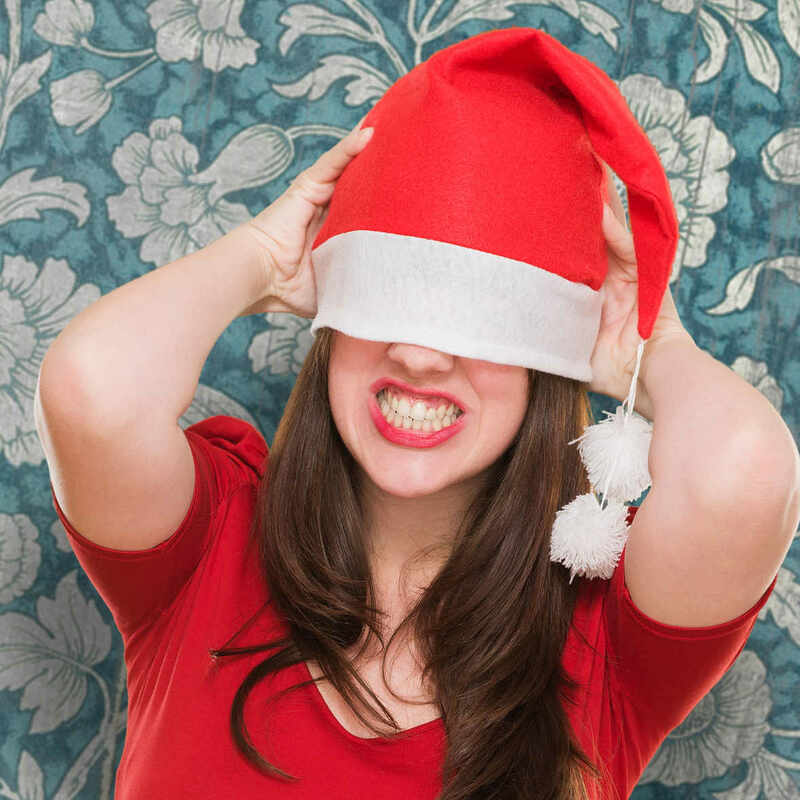 While charcoal toothpaste may appear like a Christmas miracle for quick whitening, hold your reindeer. If it sounds too good to be true, it likely is, especially since it concerns the body. In general, safe changes to your body take time. The concern with charcoal toothpaste is that no long-term studies exist to prove or disprove the benefits of this toothpaste. The bottom line: you’re riding the sleigh at your own risk. 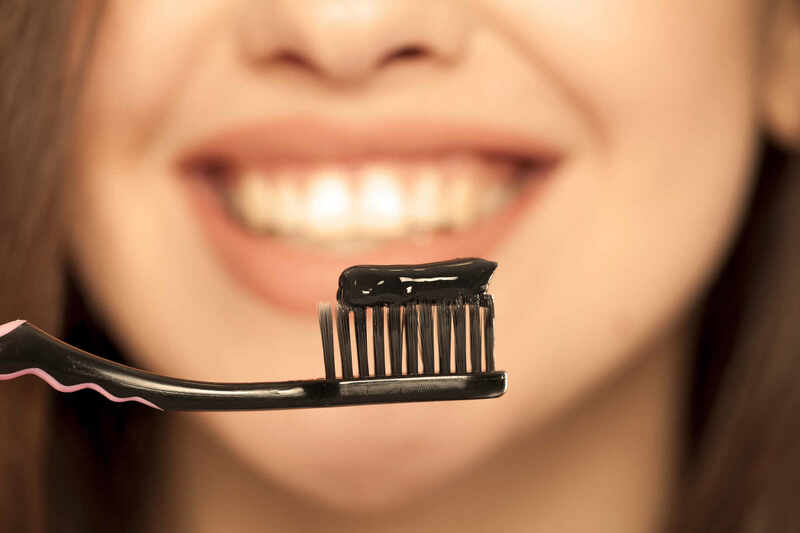 What we do know about charcoal toothpaste is that the “Active Charcoal” found in the paste is highly abrasive. Abrasion refers to materials that can scrape and wear away surfaces. Using abrasive toothpaste, especially for an extended period of time, can wear down enamel. Keep in mind, that enamel is a structure that will not grow back if worn down. In turn, the soft tissue beneath the enamel layer will become exposed. The outcome? Unprotected teeth. More sensitivity. Yellow teeth (the soft tissue layer appears yellow). Yikes. So much for teeth whitening! While charcoal toothpaste may help clear plaque and external staining, the paste lacks fluoride, which helps prevent tooth decay. It is not effective enough to replace regular toothpaste as a means of cleaning or removing “toxins” that aren’t really a problem for your mouth anyway. You’d have to buy regular toothpaste too! Given the risks, we’d like to steer you away from choosing charcoal toothpaste this holiday season. While charcoal toothpaste has ranked on our naughty list, we can’t prevent others from trying it. 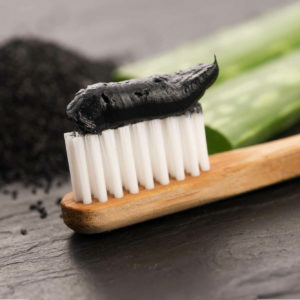 If you insist on giving charcoal toothpaste a whirl, make use of it only 1 time every other week and for a short amount of time in order to better protect yourself from the potential long-term effects. For the best whitening solution, visit your dentist for options such as whitening and/or a cleaning to remove stains. In-office services will also give you better results than charcoal toothpaste and is so much safer. The extra cost is worth preventing permanent damage and the risks associated with charcoal toothpaste. Check out our toothpaste abrasion chart to see how your paste ranks! Looking for whitening options? We’d love to see you! Find us on Facebook, Instagram, Twitter, Google +, and LinkedIn!